Happy Halloween everyone! 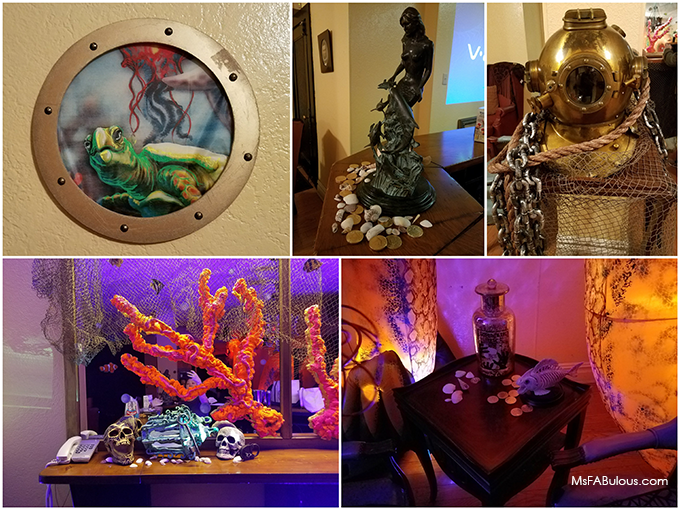 We just returned from a trip from the ocean via our 20000 Leagues Under the Sea party. 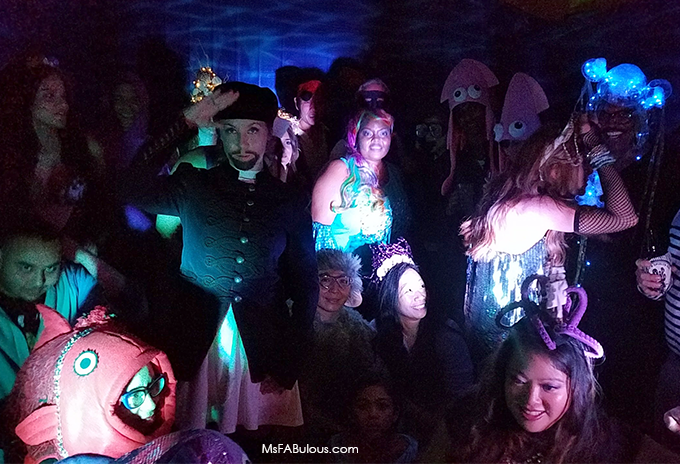 I'm so happy all of our stylish guests stepped up, finned out and showed off their best seaworthy attire. Lots of mermaids came decked in seashells, pearls, light-up glam and glittering tails. Sea creatures included bioluminescent jellyfish from designer Byron Lars, oversized fish heads, octopus from Kedic Workshop's Kazuki K. and a Rock Lobster couple. Fierce captains came in the form of Captain Nemo and her first mate. A Steampunk time-traveler and a few hunky sailors. Our signature drink was The Fishbowl. 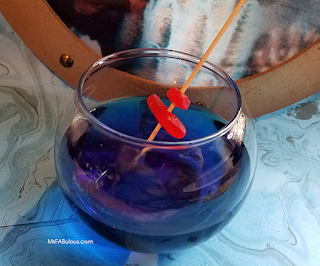 Glass goldfish bowls were filled with Blue Curacao, a touch of soda and delicious Peach vodka provided by Van Gogh Vodka. Sushi, sand dollar cookies, shrimp cocktail, crab cakes and pretzel fish cupcakes rounded out the food menu. Shake with ice and serve in glass fishbowl with speared Swedish fish candy.